Nominate a deserving person or organization for a 2018 COVA Award! COVA recognizes six individuals and an organization at the Annual COVA Conference each year. Victim advocates and criminal justice personnel are often unsung heroes even though their roles are so vital, their assistance is so greatly appreciated. Those who continue to give their time, compassion, and assistance day after day, year after year, deserve our thanks and public appreciation. You are welcome to nominate more than one person. Please include three support letters from the community for each nomination. Award recipients are chosen by the Awards Committee made up of previous award winners. Award recipients will be announced during the 2018 COVA Conference. Online form not working? Click here to download the paper application. There are SEVEN award categories. Please take the time to nominate individuals or agencies who have gone above and beyond the normal challenges of providing victim services and who make a positive impact on the lives of crime victims and the victim advocacy movement. An individual who works within a government agency (District Attorney’s office, law enforcement agency, etc.) who has made a significant impact on the lives of victims of crime. An individual who works in a nonprofit or private organization who has made a significant impact on the lives of victims of crime. *This award is named after Deana Griswould who lived among us for 35 short years. She was born with a form of Muscular Dystrophy and, from the age of 5, required various devices to help her get around. Although her life presented her with difficulty from a young age, when you ask people who knew Deana to describe her, the first thing they inevitably say is, “She always had an amazing smile.” People will also tell you about Deana’s amazing memory, her joyful attitude, her deep faith in God, her tendency to giggle and her love of parties. Deana made helping crime victims her life’s work. She was employed by the Prowers County Victims’ Assistance Office. Eventually, the DA’s office gave Deana a job setting up the VALE Board. Deana had a tremendous capacity for giving assistance. This award is to honor a person who, like Deana, is also known for their capacity to give and to make a significant impact on the lives of crime victims. An individual who works as a volunteer and has made a significant impact on the lives of victims of crime. * This award is named after Carol Hacker, an extraordinary volunteer and an extraordinary person. Carol was born in 1940 and in 2003, she was hit by a car. During her medical care, it was discovered that she had a brain tumor. She died in December 2003. It’s what Carol did with her 63 years on earth that keeps her memory alive. Carol’s career included teaching at Columbine High School, long before the tragedy that garnered world-wide attention. After earning her Master’s degree, Carol switched to counseling at Columbine. She implemented the Employee Assistance Program for the Jefferson County School District and became its director. She also earned her Doctorate in Counseling Psychology and worked as a professor at the University of Colorado at Denver. t is not , however, Carol’s many professional accomplishments that resulted in this award being named for her. Carol’s compassion, caring and giving did not end at five o’clock. She was always on-call, always available to anyone who needed compassion or assistance. Carol volunteered to provide support and comfort to the Oklahoma City bombing victims. When the Columbine community became the victims of a mass shooting, Carol again answered the call. When the Maryland airport closed down due to an ice storm while Carol was attending a conference, stranding one of her colleagues there in the middle of the night, Carol showed up with food, water and an extra jacket to help comfort her. Carol is also widely remembered for her volunteer work with the Gathering Place shelter for women in Denver. Whether a case was as high-profile as a national tragedy, or as low profile as a friend in need, the only thing that mattered to Dr. Carol Hacker was that someone needed assistance and her time and effort could make a difference. An individual who has provided outstanding leadership at the statewide level to the victims’ movement. An agency or organization that has provided a superior or innovative service for crime victims this year. A Crime Victim/Survivor who has made a difference in the lives of other crime victims. *This award is named after Bob, Pat, and Wendy Preston. Often, the greatest contributions to the victim services field are made by crime victims themselves. This is certainly the case with Bob and Pat Preston who, after the murder of their daughter Wendy, have worked tirelessly across the country to turn their horrific personal loss into invaluable public gain. Wendy at the age of 23 was murdered in 1977 in her parents’ Florida home during a burglary. As court proceedings began in the trial of Wendy’s murderer, Bob and Pat Preston were informed that the State of Florida was the victim in the case and that they would be notified if their services as witnesses were required. They had great difficulty getting any information concerning what was happening with the trial. Wendy’s murderer was allowed to plea bargain to second degree murder. While the murderer had rights, Bob and Pat Preston found out that they had none under the constitution. In 1979, Bob and Pat helped to establish the Justice for Surviving Victims organization, a pioneering grass-roots effort organized with the goal of improving the treatment of crime victims. Then in 1988, the Prestons and their organization were in the forefront when Florida passed its Victims’ Rights Amendment with 90% of the vote. After retiring, the Prestons moved to Colorado and helped to create and pass the Colorado Victims’ Rights Act. Bob Preston became a Co-Chairman of the National Victims’ Constitutional Amendment Network (NVCAN), an organization that has been instrumental in the proliferation of Victims’ Rights through constitutional amendment throughout the country. It is important to acknowledge the positive contributions victims have made to the victim services profession. Contributions whose beginnings were often born in horrific and painful loss. This is why the Wendy Preston Family Award was created. An outstanding law enforcement officer, deputy district attorney, parole, or probation officer who has made a significant impact on the lives of crime victims. You are welcome to nominate more than one person. Please include three support letters from the community for each nomination. Award recipients are chosen by the Awards Committee made up of previous award winners. Award recipients will be announced during the COVA Conference. 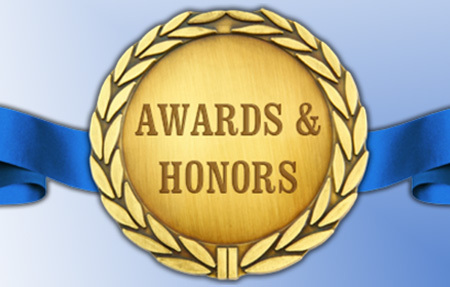 Please note that COVA reserves the right to not confer all available awards every year at the discretion of the Awards Committee.